Corporate Event, Conference, Seminar or Team Building? You've come to the right place, Abaca Villas has it all for Businesses! Discover below! 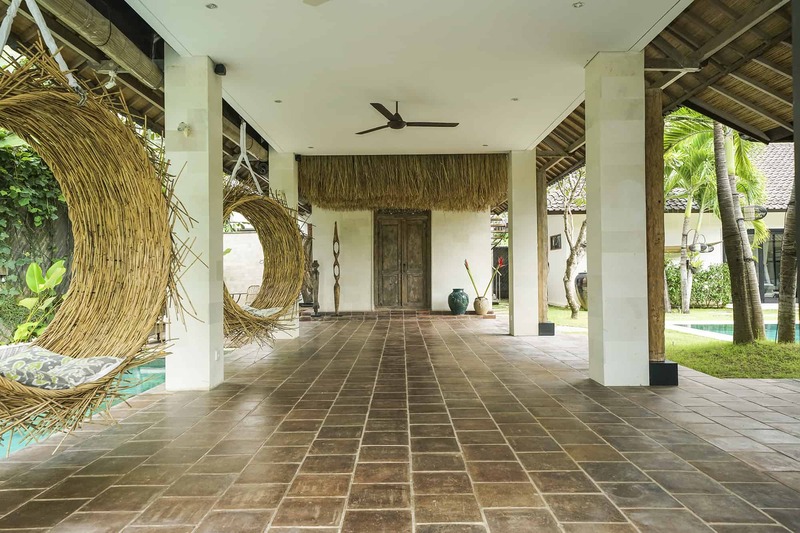 Meetings, seminars, corporate offsite training, workshops and conferences – for all of your corporate events and meetings, Abaca Villas has got what you need! 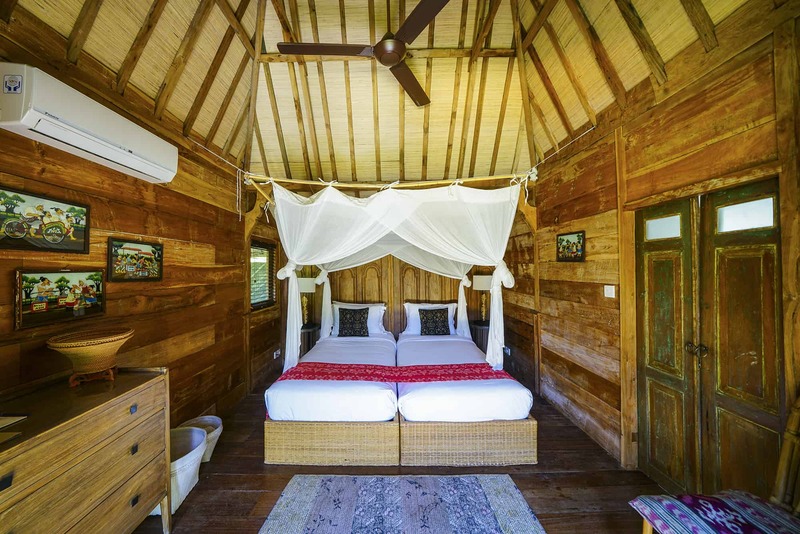 All 3 villas feature large semi-open living spaces and gardens for your business gatherings. There is speedy internet available by 2 providers to ensure high-speed internet throughout the estate at all times. Do you need a projector and screen for the meetings? 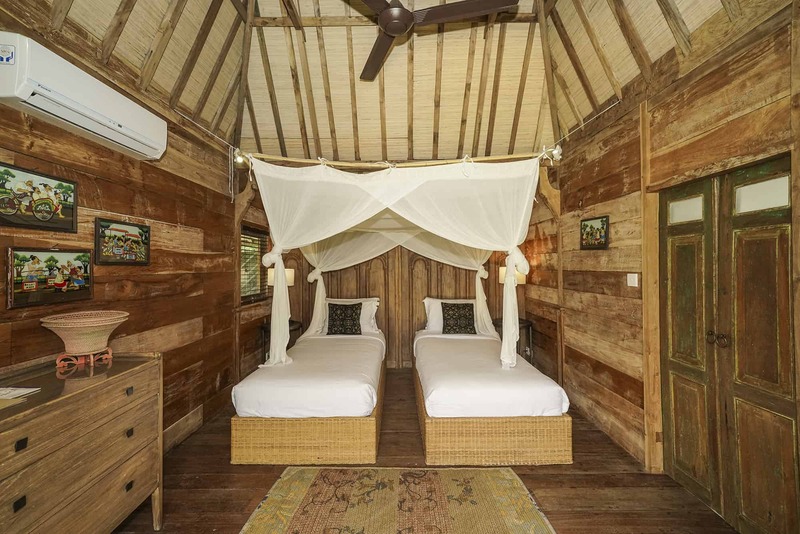 Abaca Villas has got it covered and there is a professional sound system available for your usage, too. Sharing your bed with a colleague or business partner is awkward and a definite no-go! 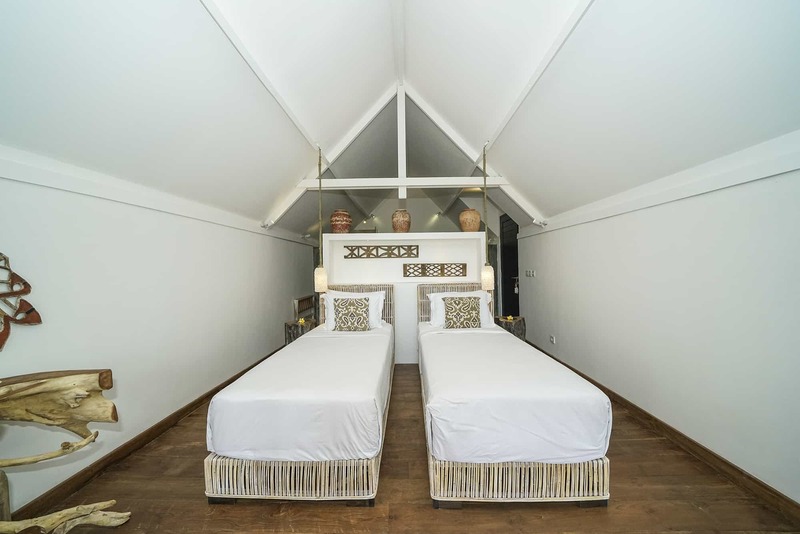 The 16 air-conditioned bedrooms at Abaca Villas can all be set up with single beds to provide everyone with the privacy they need. Extra beds are available upon request for groups up to 40 overnight guests. At some point, it is time to relax, lay down the hard work and eat! 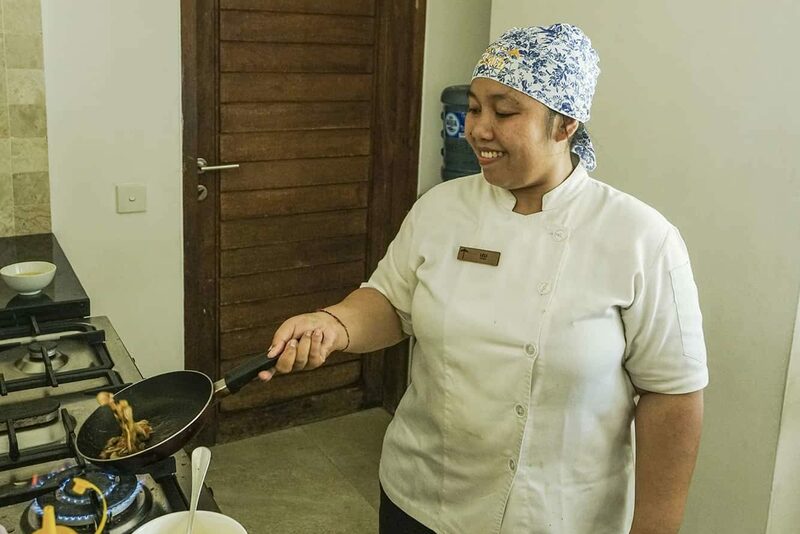 Abaca Villas has got 2 private chefs ready to provide delicious food for your entire group and we can cater for special diets, too! 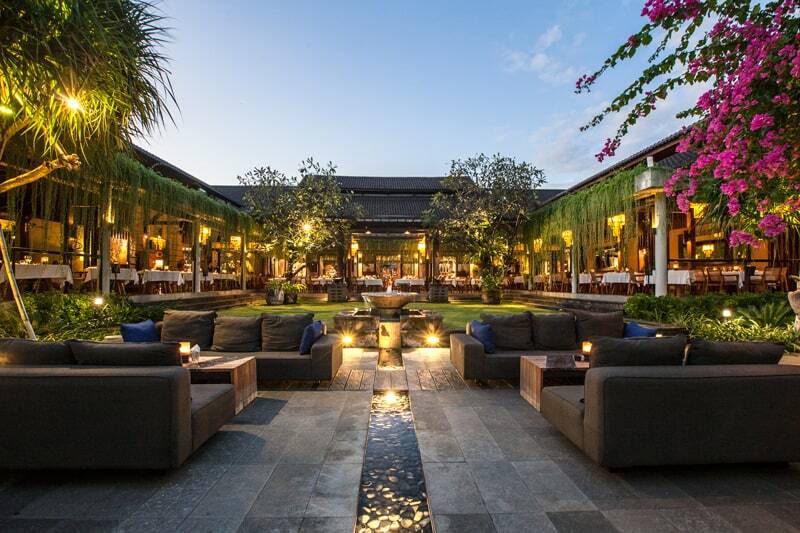 Another great option is to pick one of the amazing restaurants in Seminyak and eat together there. 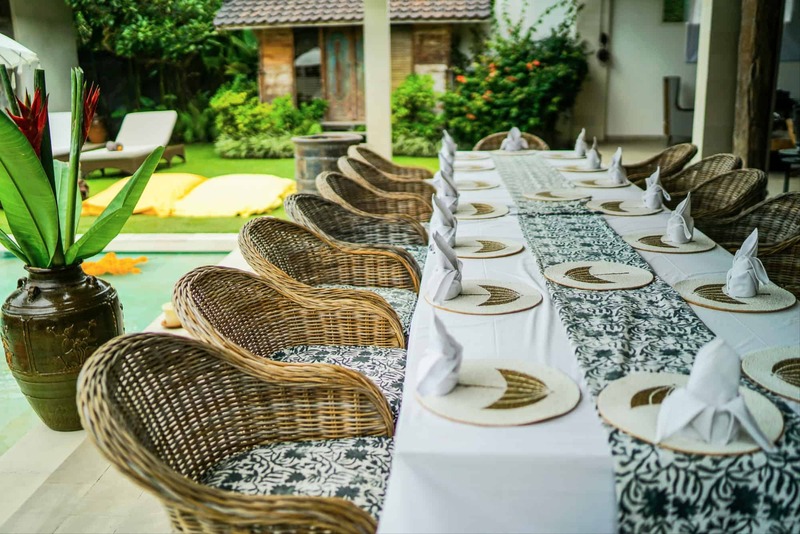 The best restaurants in Seminyak are just around the corner of Abaca Villas and our staff is happy to make a group reservation at the dining venue(s) of your choice. The best, most efficient corporate events, meeting and conferences have a mixture of business and leisure. 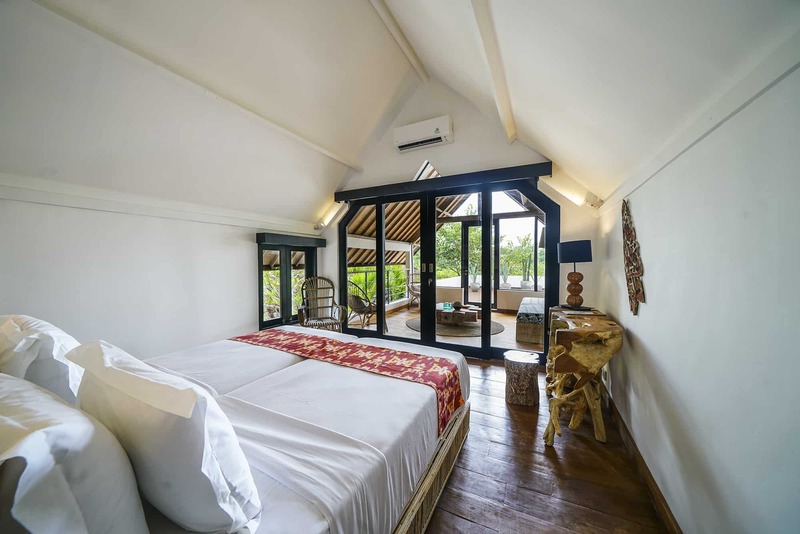 Holding the meeting at a luxury villa is already great for starters having the villa located right in the cosmopolitan city centre of Seminyak truly is amazing! 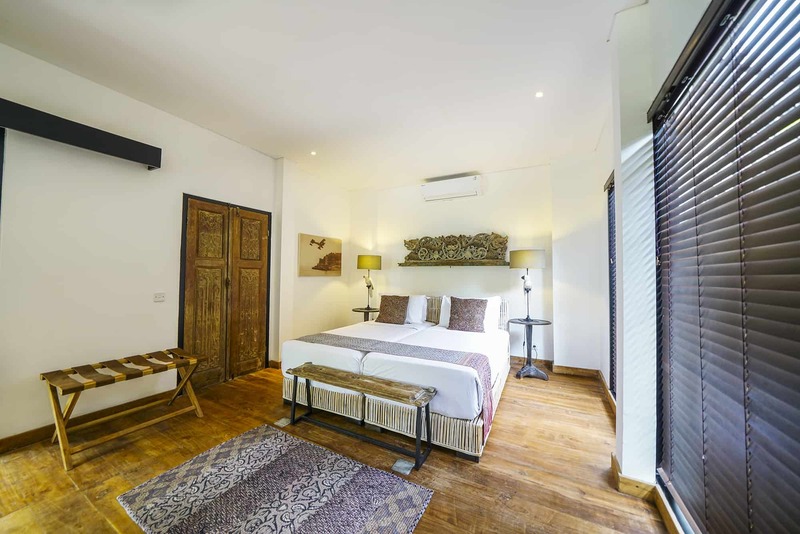 Abaca Villas in located in the trendiest neighbourhood of Seminyak, close to the beach and celebrated shopping and dining streets. 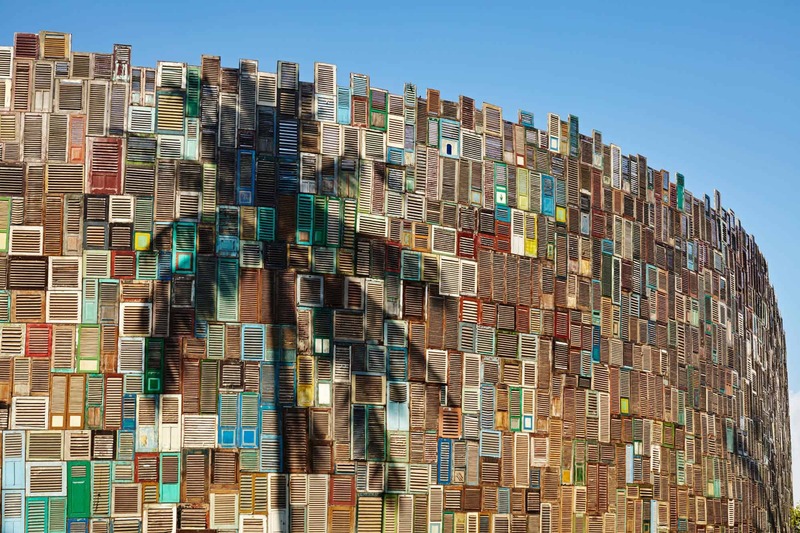 This means you can go have sunset drinks and dinner in one of the most popular beach towns in Bali. You can even go party at the end of a productive, resourceful and inspiring day. Great for teambuilding and more! 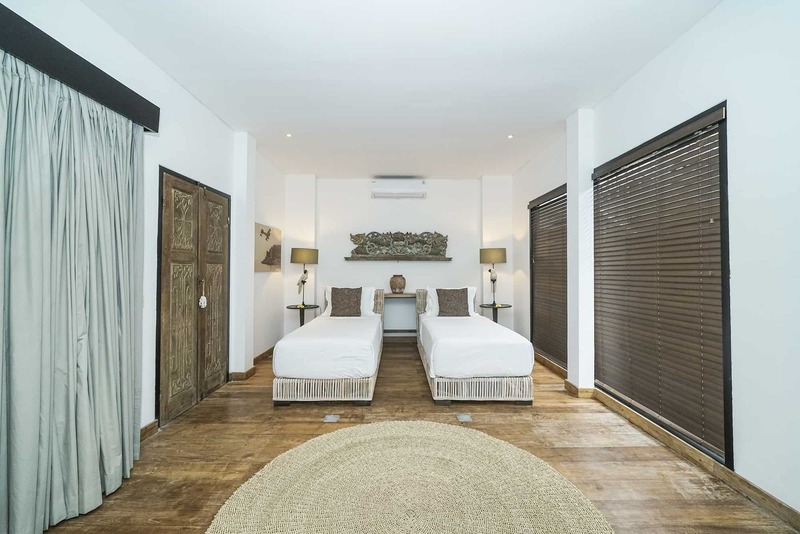 Convinced to hold your next “business trip” at Abaca Villas? 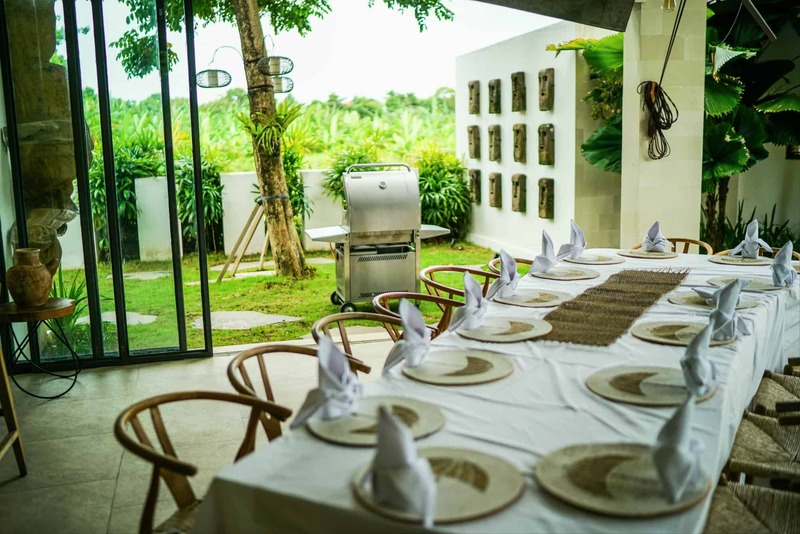 Whether it’s for a conference, an end of the year celebration, or any other occasion, Abaca Villas is a great place to enjoy relaxing time with your colleagues, while keeping good working facilities on-site.